External wall outlet for cooker hoods and other high powered appliances. 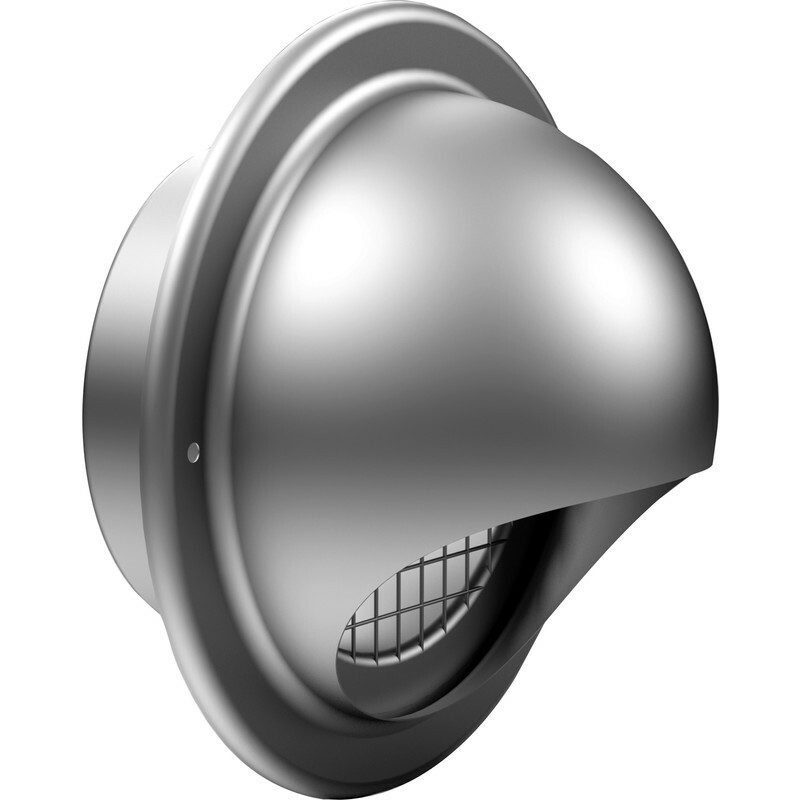 Stainless Steel Bull Nose Vent & Grill 150mm is rated 4.7 out of 5 by 7. Rated 4 out of 5 by Peter1001 from Great Extractor Hood Cover Bought the metal one because a squirrel took a liking to the cavity in our wall. He has chewed through 2 plastic ones. This is a great fit for a 4” outlet, I did have to drill 2 more holes to ensure a tight fit to the wall. The rubber seal was an excellent addition and the pointed metal bits ensure the extractor tube fits snugly and doesn’t come off. The squirrel cannot get through this, but in fact it looks so much nicer than the plastic ones anyhow. It was a great purchase. Rated 5 out of 5 by byGG from Smart Looker Really good, easy to fit, works well and looks expensive. Doesn't have draft louvres so stays open, which suits my need for ventilation but is open to winds.